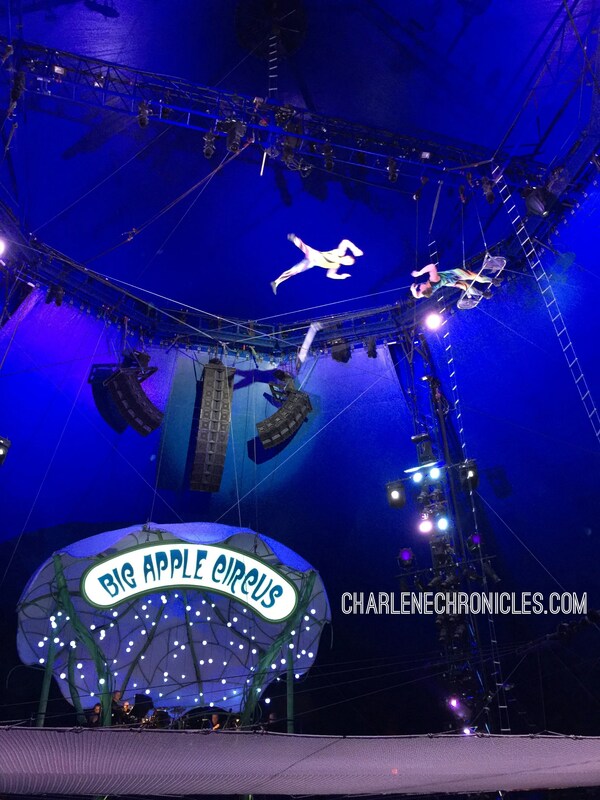 If you are looking for a kid-friendly event that you’ll enjoy, that the kids will enjoy, and that will leave your entire family in awe, then you have to go to the Big Apple Circus’ new show called Metamorphosis. I was just floored at the talent, the theatrics, and the transformation under the Big Top. The show is intimate with close-to-the-ring seating. The pace of the acts is amazing and the live band enhanced the spectacular lighting. Perhaps it was the nature of the seating, but the crowd was enthaustic; clapping and cheering that made a night out more fun. There were trapeze artists, but with modern choreography. The quick-change act was mind-boggling, but the contortionist act was mind-blowing. The animals are crowd pleasers with unique surprises like a pig and camels. It was a performance and not just a Circus. They weren’t just clowns or artists, but experts and leaders in their field. The pace of the show was spot on, and the rows and seats spacious. The variety of the acts meant there was an interest for everyone and showcased the depth of this traveling show. To celebrate spring, going to the circus is a wonderful thing.